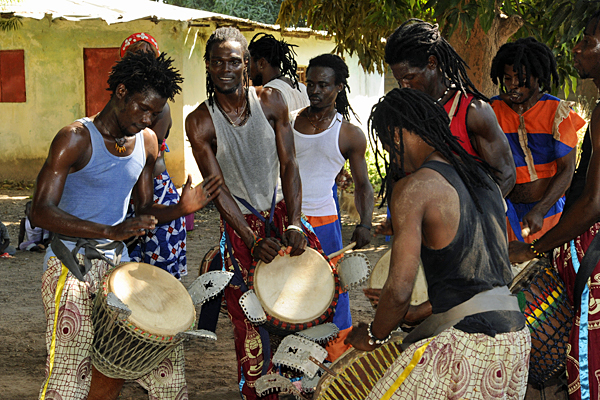 Highlighting one aspect of Gambia's wonderful culture. 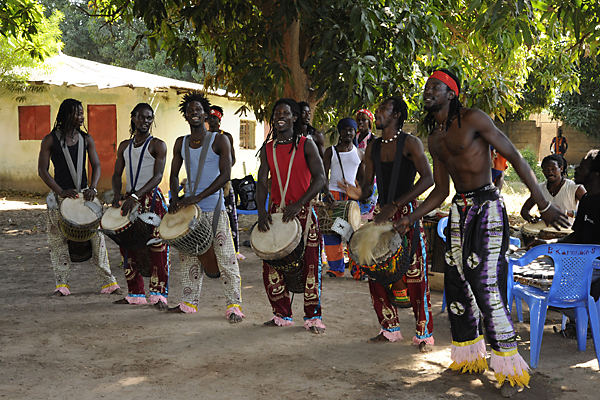 Last December when I joined a group of travel bloggers in The Gambia, we visited the West African drumming group, Tamala, and witnessed the most fantastic display of percussion and dance I’ve ever seen (and I’ve seen a lot!). 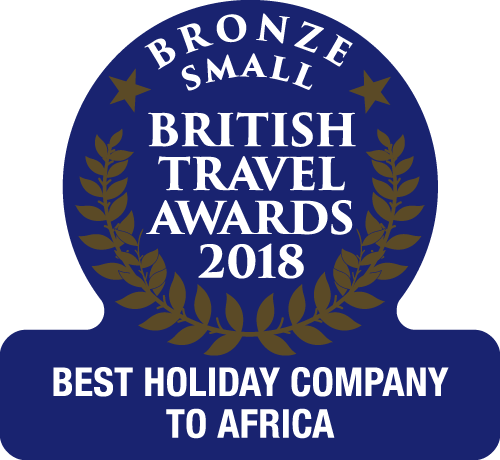 All the bloggers, including myself were mesmerised and we couldn’t believe how the group kept their obvious enthusiasm, enjoyment and energy going for so long. Here are some of my photographs from that day. 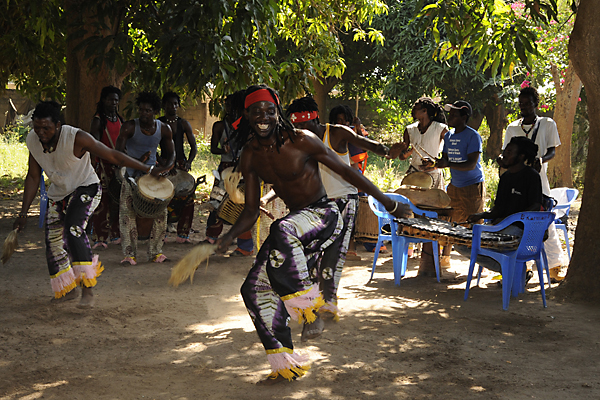 Another aspect of this performance that I enjoyed was seeing the local crowd that had gathered round, enjoying the music and dancing as much as we were. 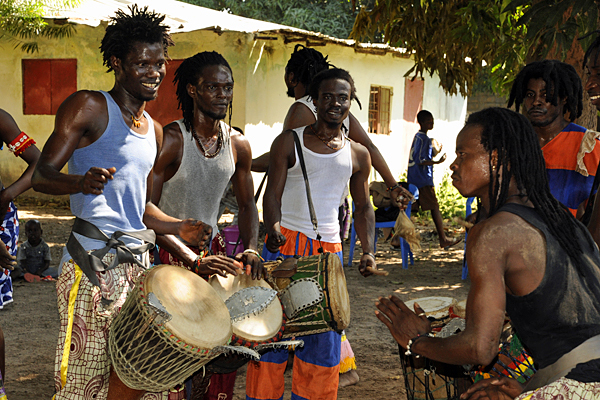 I find it hard to keep still when I hear any music with a good rhythm and West African drumming is no exception. Luckily there aren’t any photos of me! Tamala, while all living in The Gambia, are originally from Guinea (Conakry) and as an occasional member moves on, another joins. 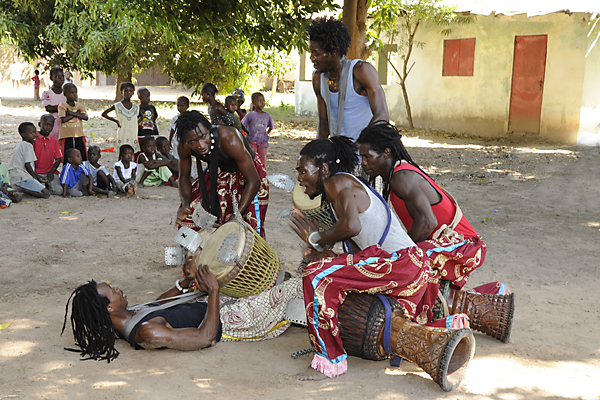 As well as performing, Tamala enjoy training local artists, helping them develop their skills and they are always happy to offer training to anyone wishing to learn about traditional West African percussion, song and dance. 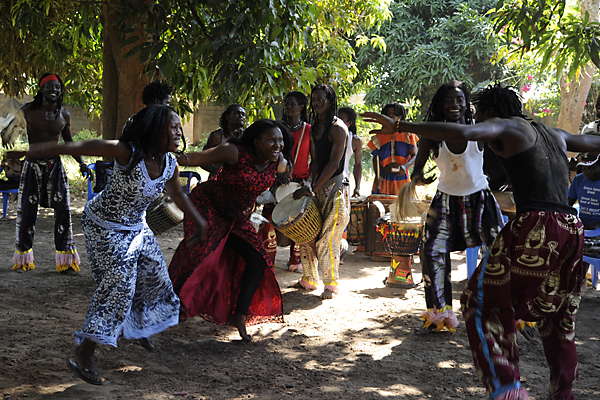 You can contact them through their website, TamalaAfrica.Wordpress.com. 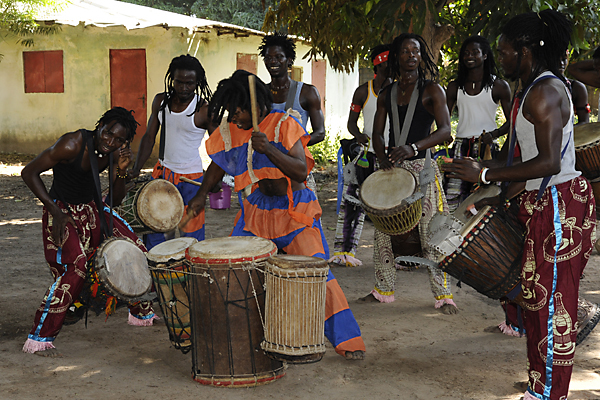 And next time you visit The Gambia look out for Tamala playing in a hotel or festival near you. They are well worth seeing!